I’m a self-proclaimed dynasty enthusiast: I have well over a dozen leagues, I can usually be found up well past midnight grinding tape for the NFL Draft, and if you offer me a trade at any point of the year I will counter. My favorite part of dynasty fantasy football, though, is running leagues. Whether your dynasty league is flourishing and on its 15th consecutive season or you’re hoping to jolt some life into it, you should be able to find some help from these 7 tips for improving your dynasty league. Twitter Direct Messages (DMs): this is a great way to communicate with groups of 8-20 individuals. It’s user-friendly, can be easily accessed on mobile devices, and allows users to communicate via large group message or easily DM an individual from the group. This helps when making announcements, or for users to talk trades (and we all love trades)! GroupMe: this app allows users to interact with one another and DM in a similar way to Twitter. It also offers the ability to”like” a message which can be great for making sure your league-mates have seen important messages. You also can create polls on GroupMe-which is a great way to get opinions or conduct league votes. Slack: this is a newer app, and operates similarly as GroupMe. Most users, however, feel Slack has a cleaner interface, and you can create sub-channels off main messages to help better organize yourself (and if you’re like me, your 12 dynasty leagues). Both slack and GroupMe offer you the ability to sign up via a phone number-a great tool if your league-mates aren’t on Twitter. The process of drafting is perhaps the best part of any league-and ignoring that wonderful experience because it’s a dynasty league would be a significant oversight. When it comes to the start-up draft, I recommend either doing a slow draft or an auction draft. A slow draft is one that takes place over a longer period of time-players usually have a clock of about 4-8 hours to make their selection, and the “clock” will pause overnight. This avoids issues like coordinating everyone’s schedule and allows everyone to take their time and make picks they’ll feel comfortable within the long-term. An auction draft is a whole new world; instead of turn by turn picking, players get a “salary” of money they can bid on players. Players get nominated individually, and bidding continues until the established time per pick (usually 4-8 hours also) runs out. Both of these types of drafts can take a while, even a couple of weeks, but there’s nothing wrong with dragging out the draft experience! Dynasty means much more than the start-up draft, though. Ensuring you have a fun rookie draft, or annual draft of players entering the NFL for the first time is also critical to success. Timing and quirks are keys to success in this. It’s tempting to run a rookie draft right after the season ends, or in the months leading up to the NFL Draft, but I suggest waiting until at least after the NFL Draft-the landing spot rookies find themselves in changes their value drastically. Competitive balance is excellent, and the last thing you want is for your rebuilding teams to get frustrated with lousy rookie draft picks. I also suggest adding fun quirks to gain extra draft picks. There are a few examples of this I’ve seen but my favorite is awarding bonus picks for “loser’s bracket” winners. For example, if only 6 out of 12 of your teams make playoffs-run a “loser’s bracket” playoffs with the teams that don’t make it (some platforms do this automatically). Grant the winner an extra pick at the end of the first round, or in the case of a 12 team league-the 1.13. This gives teams something to play for all the way through Week 16. Dynasty players tend to be “all-in” on fantasy football; we want new challenges and to move beyond the standard scoring and acquisition rules that Jake from Payroll sets up on for office redraft leagues every year. My favorite way of doing this is to move from a priority order waiver system to a free agent acquisition budget (FAAB) system. If you’re not familiar with FAAB it allows you to set a budget for every team in your league (the standard budget is $100). Instead of merely putting in waiver claims every Tuesday and being granted the best free agents simply because you’re currently the worst team, FAAB allows you to delve into another level of strategy. Players have to carefully balance outbidding their league-mates for the early season hot commodity type players (see: Phillip Lindsey) while managing their budget for late-season bloomers (cough, Aaron Jones), and avoiding flashy “grenades”-or players that can’t consistently produce (example: every Packer wideout not named Davante Adams). If your league already uses FAAB, consider bumping up the required minimum bid from $0 to $1, although I don’t always love this it requires teams to be even more strategic about saving money for postseason runs. This is perhaps my favorite tip-it’s also the suggestion that so many leagues have a hard time convincing the majority to adopt. Replace the defense/special teams (D/ST) and kicker positions with flex (RB/WR/TE) positions. My favorite dynasty leagues have a least two flex positions, and some have up to 4. Adding extra spots to the starting line-up makes for higher scoring match-ups and forces teams to have a roster with deep talent to stay competitive. Already utilizing flex spots? Well done! 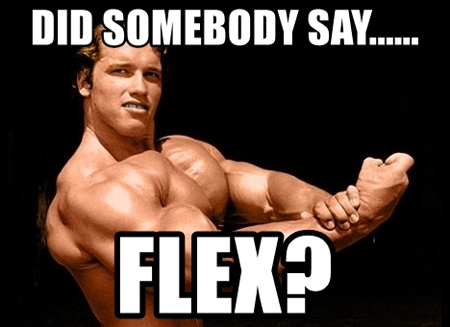 Here’s a bonus for you: move to super flex. The super flex position allows individuals to use running backs, wide receivers, and tight ends just like the flex, but also allows you to use a quarterback-traditionally the highest scoring position. This is especially fun in leagues that are 12 teams or larger; once you start getting that big and BYE weeks kick in players have to debate starting a mediocre quarterback or a solid running back/wide receiver. This also inflates the value of quarterbacks, making them better trade commodities and heating up your drafts. Tight End (TE) Premium: the current tight end landscape can best be described as a “barren wasteland”. Tight end premium gives extra points to tight ends, compared to other positions. For example, a point per reception (PPR) league can award 1.5 or 2 points per catch to a tight end, even though wide receivers and running backs just get 1 point. You also could award tight ends 1 point for earning a first down. Point Per Carry (PPC): we’ve all heard of PPR, but PPC is a new ball game for most. In PPC leagues, running backs (and occasionally wide receiver and quarterbacks) earn a point for every carry they receive. With the NFL moving toward a committee back system, this adds a tough level of strategy for players. It also helps the Jordan Howards of the world maintain value against explosive PPR players like Alvin Kamara or Tarik Cohen. Dynasty is a whole lot of fun, but Devy is a whole new world. Devy includes drafting and trading college players. Traditionally these players don’t earn points while they’re playing collegiate football. However, they automatically move onto your active roster once they turn pro. This requires players to actively watch and analyze college football while keeping up with their active rosters in the NFL. Devy changes a few elements of your league. First is the draft: instead of drafting incoming rookies every year, players replenish their devy squads with either players coming into college or current college players who aren’t on a roster already. Traditionally, players still draft in order from worst to first. An added element to drafting is you only take as many players as you have open spots for, meaning you need to be cognizant of which draft class your players are expecting to declare in. What makes devy really fun for me, though, is trading. Having an extra 5-ish players to trade (many of which are highly touted) gives you valuable trade pieces for contending teams to sell, and rebuilding teams to buy. It isn’t for the faint of heart, but playing in at least one devy league is a must for committed dynasty players. I’ve gushed a lot about what makes dynasty leagues fun, but this is my favorite part: managing large rosters. Often in redraft leagues, you have rosters of 10-12 active players, and maybe an injured reserve spot if your commissioner is savvy. For dynasty leagues drafting, signing, and trading lesser-known players is intoxicating. I often catch myself seeking the “thrill of the chase” by wheeling and dealing for the next big “sleeper guy”. With deeper leagues, you don’t get to just snag him up for free: you often need to carefully negotiate trades without tipping off your trade partner with how much you really value that player. To create this type of environment, I think you need roster sizes of at least 20, although I recommend between 25-30 players. Already have deep rosters? I suggest adding “taxi-squads.” This is a term I’ve seen defined in a few ways, but to me, it means a set of designated players (usually 3-5) who don’t count toward your roster limit and are in either their rookie or 2nd season in the league. This helps you roster rookie flyers-guys you might be drafting in the 3rd-5th round of your rookie drafts. It also creates more space for you to, you guessed it: make trades! 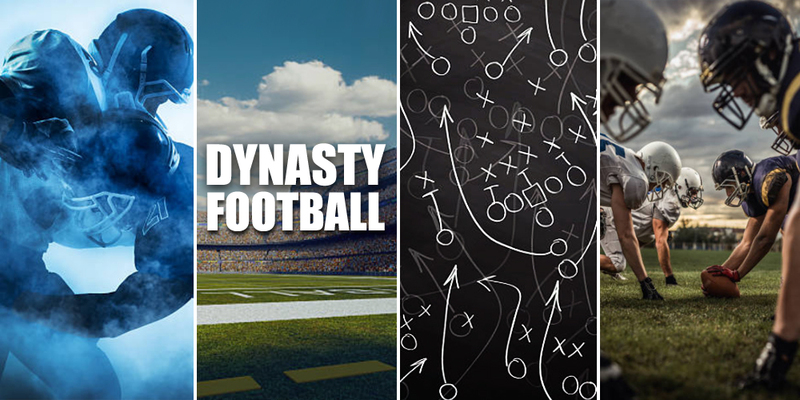 Dynasty football leagues are my passion, and I could go on for days with discusses the intricate ways you can make leagues competitive and create a fun community of players. This list, though, is a great start. The most important thing you can do is propose new ideas to your league-mates, spice things up, and keep everyone consistently competition and talking (friendly) trash. I hope these 7 tips help you do just that.